There have been a couple of studies associating irreligion with psychopathy (see: Atheism and psychopathy). ↑ 1.0 1.1 (2005) Handbook of Psychopathy. Guilford Press, 440–3. ↑ 2.0 2.1 Coid, Jeremy; Yang, Min; Ullrich, Simone; Roberts, Amanda; Moran, Paul; Bebbington, Paul; Brugha, Traolach; Jenkins, Rachel et al. (May 2009). "Psychopathy among prisoners in England and Wales". International Journal of Law and Psychiatry (Elsevier Ltd) 32 (3): 134–41. doi:10.1016/j.ijlp.2009.02.008. 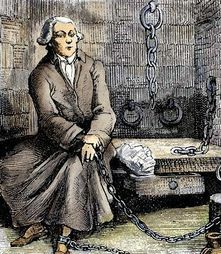 PMID 19345418. https://www.researchgate.net/publication/24256789_Psychopathy_among_prisoners_in_England_and_Wales. Retrieved 1 April 2016. This page was last modified on 16 January 2018, at 03:48.